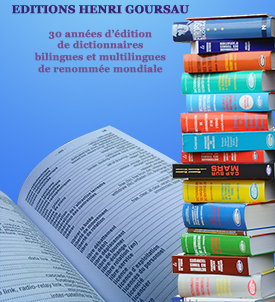 This is the most useful dictionary for all French who travel in Europe. The indispensable formulas of common conversation in 24 languages of the European Union. Ordered alphabetically are some 200 phrases and simple questions to get out of a fix in the 28 member states of the European Union and facilitate your voyage. How do you say « hello », « goodbye », « thank you », « excuse me », « pardon me », « please » in the 24 languages of the EU? How do you pose questions in case of difficulty : for example how to ask for directions, what to eat, what to visit, to get a taxi or a bus, find the train station or the airport, find a hotel, a bank, a museum, the city center, or an address, and lots of other useful information. This dictionary gathers the essential phrases to be understood abroad. It allows you to exchange, meet people you wouldn't have without this book, and to no longer be lost in a city or a place that you don't know. The only one of its kind on the market, it is a dictionary of reference designed to only bring you the essential. This work is addressed to anybody of the French language who desires to communicate or to exchange in the other official languages of the European Union.